It’s estimated that one in three adults in America have high blood pressure. Also known as hypertension, it’s often called: “The Silent Killer” because many people have it for years with no obvious symptoms. The death rate in the last decade due to hypertension has risen about 20%. The only way to know if you have high blood pressure is to measure it. You don’t need a doctor for this, you can easily do it yourself at home. Accurate, easy to use blood pressure monitors are available for about $40. Since blood pressure naturally fluctuates all day, taking readings throughout the day is really the only convenient way to get an accurate assessment In addition, many people have “white coat syndrome”. As soon as they see the doctor’s white coat, they get nervous and their blood pressure rises. It’s best to take it yourself. Blood pressure readings are expressed as 2 numbers, like 120 over 80. The first number, or systolic pressure, is the pressure when the heart contracts. The second number, or diastolic pressure, is the pressure when the heart relaxes. 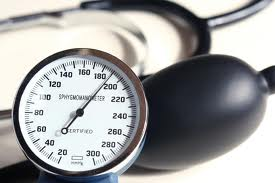 While many believe that 120\80 is ideal, blood pressure naturally rises some with age and a reading of 140\90 for a 70 year old is in the high-normal range and probably no cause for alarm. Most commonly, doctors treat hypertension with prescription drugs that can have a myriad of possible negative side effects. A common side effect in men is erectile dysfunction. When it comes to treating and preventing hypertension, one-size definitely doesn’t fit all. Clinical research confirms what many people have told me. Formally overweight customers said they’ve reduced their blood pressure 20-30 points just by losing weight. Others say they’ve reduced blood pressure by doing 30 minutes cardiovascular exercise 3 or 4 times a week..
improve their health it would simply be to teach them how to breath”. I’ve seen people reduce their blood pressure 20 points or more by learning centuries old, conscious relaxation breathing techniques. Scientific studies confirm that practicing Tai Chi or Chi Gung movements and breathing has proven effective in reducing bloodpressure if learned from an instructor who understands the soft and relaxed (or yin) aspects of these arts. For more from BK Frantzis, click here. An often overlooked important aspect of healthy blood pressure is the flexibility of the blood vessels themselves. The cardiovascular system is not simply a heart pumping blood through inanimate, rigid pipes. The one-way, flexible valves in the leg veins play an important role in reducing strain as your heart tries to pump blood against gravity up from your feet. These valves prevent backward flow of blood between heartbeats. If backward leakage occurs, the heart has to work harder increasing pressure to force the blood up. Normalize Weight…………The greater your body mass, the more pressure there is on the artery walls. Eliminate Tobacco Use…Nicotine constricts blood vessels. Reduce Alcohol Consumption………………Shortly after consumption, alcohol can reduce blood pressure slightly. However 12-15 hours later blood pressure is actually higher. Relaxation response breathing techniques and the physical movements done while practicing Tai Chi, Chi Gung or yoga. The herb hawthorn has been shown to dilate coronary arteries, strengthen the heart contractions and reduce blood pressure. Co-Q-10 has been clinically proven to reduce blood pressure. The herbs horse chestnut and butchers broom can increase the strength and elasticity of the blood vessels and valves which can help take strain off the heart. Before committing to using toxic medications for the rest of your life to control high blood pressure you’d be wise to try one or more healthier alternatives for maintaining your cardiovascular system. Rob Pell owns and operates Sunshine Natural Foods in Grants Pass, Oregon and has 35 years experience helping people with natural foods, products, diet, exercise and healing. This article appeared in The Daily Courier 4-20-2011.